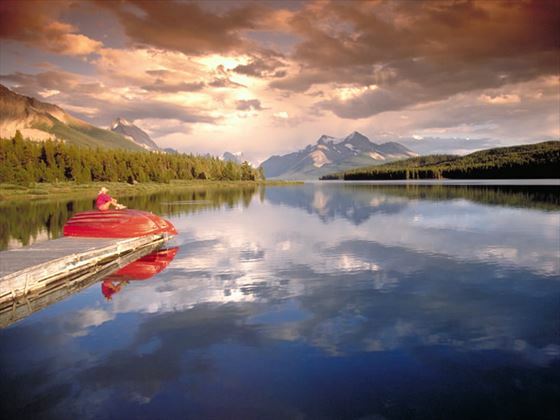 Explore the delights of Canada with a sophisticated tour and cruise, beginning in Calgary and ending in Seattle. 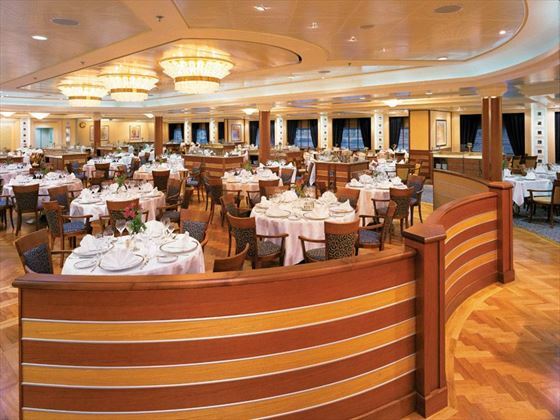 With European styling and luxurious features, your Silversea cruise experience will be one to remember. 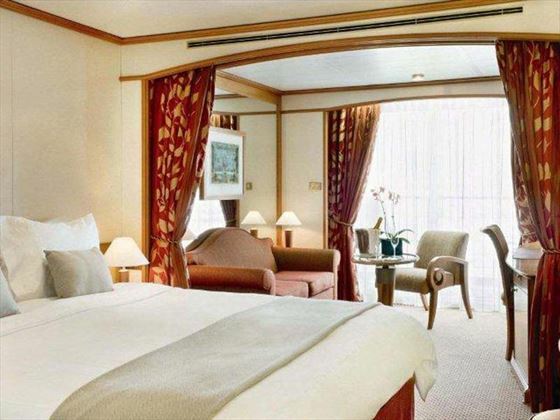 You’ll be treated to gourmet dining, exclusive explorations and elegant accommodation for a stunning journey. 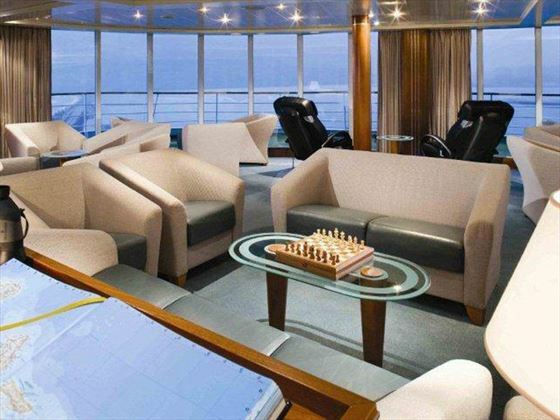 Soak up the amazing views and relaxed ambience, and take advantage of the all-inclusive lifestyle aboard this luxury vessel. Upon arrival into Calgary, take a private transfer to your hotel and spend the rest of the day at leisure. Explore the city at your own pace, perhaps with a quick ride to the viewing platform of the Calgary Tower for breathtaking views of the downtown area and the surrounding ranchlands. 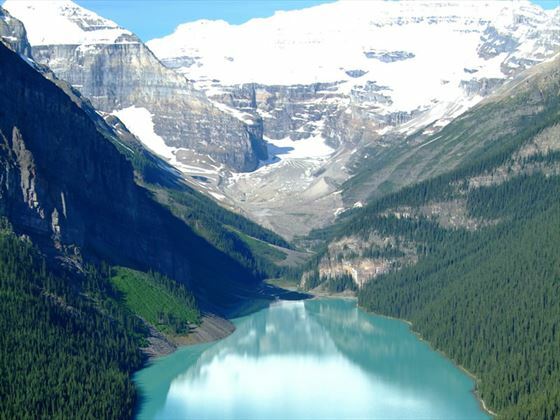 Depart from Calgary this morning for a full-day tour which ends in Lake Louise. First you’ll travel to Kananaskis where you’ll take part in a 12-minute summit helicopter tour over the Rockies – undoubtedly the highlight of the day. 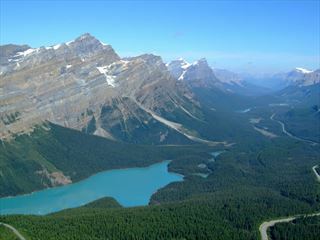 Continue on to Banff for a sightseeing tour, including Lake Minnewanka, Bow Falls, the Hoodoos and Surprise Corner. Afterwards, take a gondola ride to the summit of Sulphur Mountain for a bird’s eye view of Bow Valley. The tour will end upon arrival into Lake Louise later this afternoon. Travel along the renowned Icefields Parkway today, one of the most impressive highways in North America. 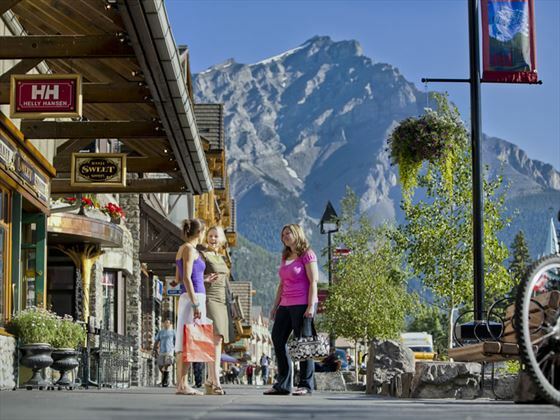 Travel through Banff and Jasper National Parks and stop off at the Columbia Icefield and the newly opened Glacier Skywalk. After enjoying lunch at the Discovery Centre, board a Brewster Ice Explorer and travel onto the slopes of the Athabasca Glacier, as your guide explains the geological features of the area and how the glaciers are formed. Be sure to keep your camera ready for your sighting of the mighty Athabasca Falls. In the morning, begin with an excursion along the Athabasca Canadian Heritage River, learning about David Thompson and the valley ecosystem. 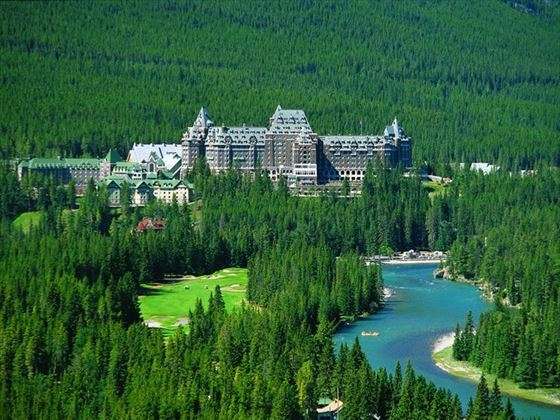 Afterwards, travel above Maligne Canyon and visit a mysterious place of Indian legend on your way to Medicine Lake, which sometimes disappears entirely! Keep a lookout upon arrival at Medicine Lake for the abundance of mountain wildlife found here. 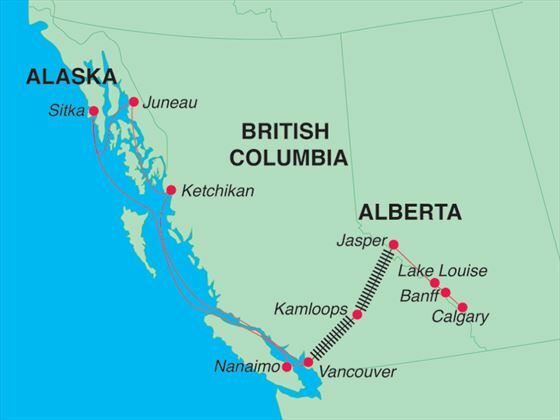 Set foot aboard the Rocky Mountaineer for your two day adventure in GoldLeaf Service. You'll travel in a two-level glass domed coach offering panoramic views as you wind your way through the landscape that’s dotted with glaciers, sparkling streams and rugged mountain scenery. Goldleaf Service also features an exclusive dining room where you'll be served gourmet meals and a full complimentary list of drinks. Along the way, you’ll pass the Monashee and Cariboo mountain ranges, Okanagan and eventually will finish the day in Kamloops. Continue on your Rocky Mountaineer adventure from Kamloops to Vancouver, watching as the surrounding landscape changes dramatically from the luxurious glass domed carriage of Goldleaf Service. You’ll pass through the striking Hell’s Gate Canyon on your way to the fresh air of the coastal city of Vancouver. Enjoy complimentary drinks throughout the day, as well as a delicious lunch in the exclusive dining room. Upon arrival, transfer to your downtown hotel. 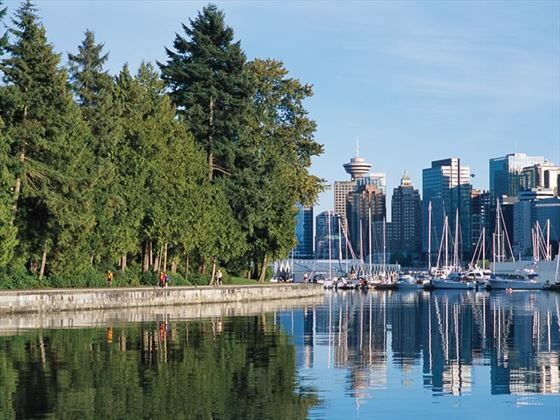 Explore Vancouver on your own today, a city edged by the Pacific Ocean and the Coast Mountains. Head to Robson Street for a spot of shopping, to Stanley Park if you want to relax or to Granville Island to wander around the markets. If you’re looking for something that really makes the most of the beautiful scenery, take a gondola ride to the summit of Grouse Mountain. This morning take a short walk to the float plane dock located on the harbour. Depart Vancouver Harbour by seaplane for an exciting flight over the Islands to beautiful Victoria. From there, take a double-decker coach tour to famous Butchart Gardens. In Victoria, enjoy shopping, visiting the museum and lunch. Return to Vancouver on a scheduled afternoon flight (40 minute flight each way.) Upon arrival back into Vancouver walk back to your hotel. 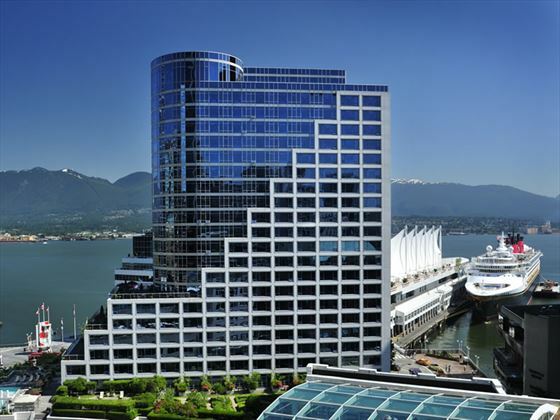 Spend time enjoying the sights in Vancouver today before boarding the cruise ship for the next portion of your trip. Today will be spent onboard, cruising the Inside Passage, the route which begins in southeastern Alaska, through British Columbia to the Washington state in the U.S. The scenery along this route is spectacular, so spend time on-deck admiring the views. Today will be spent in the charming town of Ketchikan, well-known for its colourful totem poles, steep sloping streets and island setting. A popular stop-off point for cruise journeys, this is an interesting town that features some great attractions. Head to City Park or to Creek Street to observe the colourful houses situated on stilts over the water. The Totem Heritage Centre is also a must-see, with authentic Native totem poles preserved in this inspiring rare collection. Alaska’s third-largest city is today’s destination; a city with hilly scenery and historic buildings that cannot be reached by road. There’s a modern vibe to this area that makes for an interesting mix of attractions, from the cultural museums to the culinary delights housed in numerous restaurants. Juneau is an easy place to navigate, thanks to its relatively small size, so it’s a great place to explore. North-country folk call this sightseeing route the Golden Horseshoe or Golden Circle tour, because it passes a lot of gold rush country in addition to spectacular lake, forest and mountain scenery. The town is an amazingly preserved artifact from North America's biggest most storied gold rush. Originally home to the Tlingit people, this is a location steeped in history and tradition, and enveloped by dramatic scenery. Visit the Sitka National Historical Park where you’ll be able to see some of the intricately carved totem poles or visit some of the museums to learn more about the varied heritage of this area. Journey along the Hubbard Glacier taking in the amazing scenery. Today you will dock in Seward and have a scenic train transfer back to Anchorage airport for your flight to Seattle. On arrival transfer take the airport shuttle to your overnight hotel. Late morning take the airport shuttle back to Seattle Airport for you return flight home. International flights to Calgary, internal flight from Anchorage to Seattle and Seattle home. Private transfer upon arrival in Calgary. 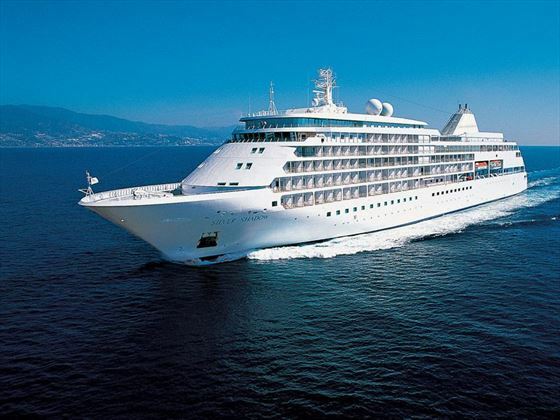 7 nights cruise on Silver Shadow based on a Vista suite, suite upgrades available at a supplement.